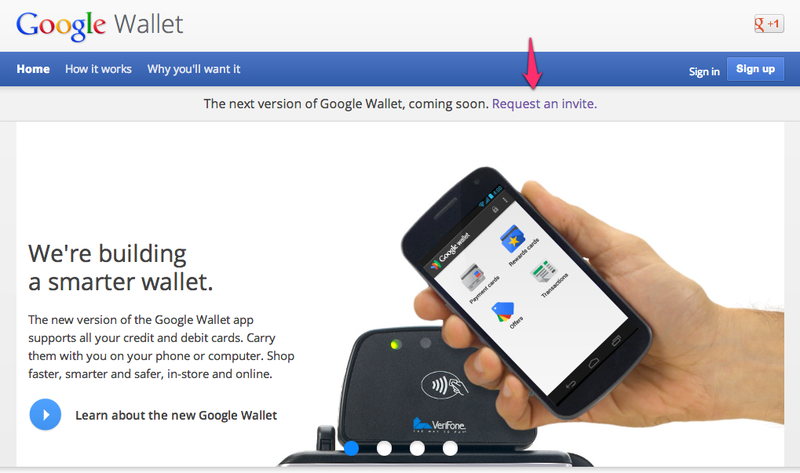 This morning, Google added a line at the top of their Google Wallet page that reads, “The next version of Google Wallet, coming soon. Request an invite.” So what are you waiting for? Go request a damn invite! We would attempt to speculate as to what we may see in this new version, but your guess would be as good as ours. I think most importantly, Google needs to figure out a way to meet the security requirements of carriers, so that their app can be used on any NFC device on the planet. Up until now, carriers have decided that Google Wallet isn’t quite meeting their needs, and have asked Google to block the app from phones running on their networks. To me, the feature set of Wallet was already top notch, we just couldn’t use it. What’s interesting, is that when you request your invite, you’ll see options to choose which kind of device you use: Android, iOS, or other. If Google wants to flip the bird to carriers, making it widely available to any smartphone would be the way to do it. And if that’s the case, then maybe NFC will be partially taken out of the equation? Who knows, Google could adopt a similar system to what Apple has done with Passbook. Camera ZOOM FX Receives Major Update, "It's Super Legit Now"